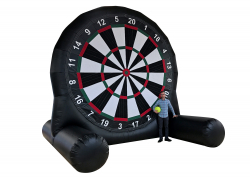 Velcro Soccer Balls with A Velcro Dartboard, You kick the ball and it sticks like a dart. High volume attraction perfect for Schools, Soccer, Baseball or Football clubs, Churches, Family reunions or Block Parties. 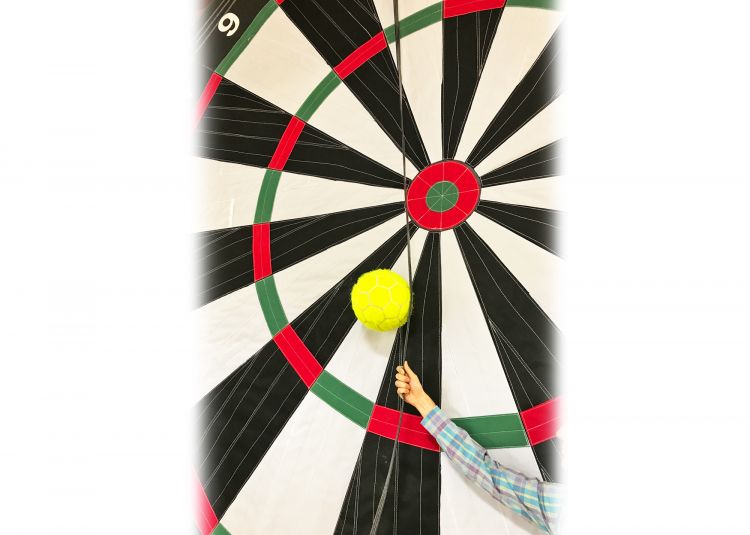 You can play whole games of darts or use it for fundraising (Get a Bullseye, win a prize) This is a HUGE hit at every event it goes to! -$325 for up to 8 Hours. -If your event is indoors, at a forest preserve or any other place that might need an additional insured certificate Please be advised it could take 72 hours to receive the certificate. such as a forest preserve or park, We rent Generators for $75.00. Price: $325.00 per 8 / hrs.